The cover for Bloodlines, the urban fantasy anthology which includes my story, The Flowers That Bloom Where Blood Touches Earth, has been revealed. And isn’t it gorgeous? The cover design is by the talented Kathleen Jennings (who also has a story in the anthology). Pre-orders for the anthology have also opened, get yours here. Bloodlines will be available in mid-October 2015 and can be pre-ordered at http://www.indiebooksonline.com/catalog/advanced_search_result.php?keywords=bloodlines. 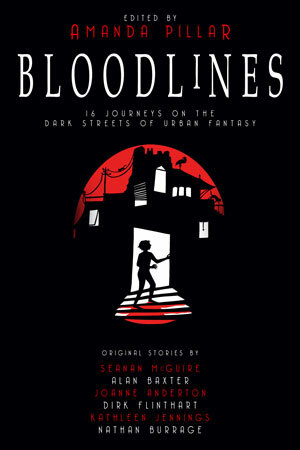 Bloodlines will be available in hardcover, tradepaperback, and ebook. Attendees of Conflux, in Canberra 2-5 October will be treated to the first look at this book, at a launch on 3 October. The rest of the world can experience this fantastic collection at World Fantasy Convention 2015. In publications Tagged bloodlines, publications Bookmark the permalink.